Jan van Eyck's work extended into the secular realm, which remained a very small proportion of work created during the period. 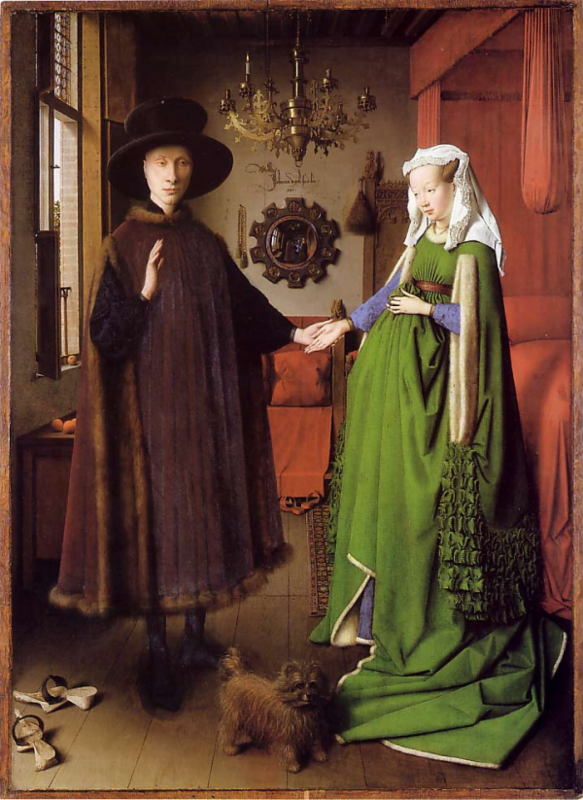 The Arnolfini Portrait has confounded art history scholars for centuries, given its many unique touches that leave the observer wondering: who is the couple? does the painting commemorate an event? why are they shoeless? who appears in the reflection in the mirror in the background? Truly this painting moves art in a direction of wonder, rather than meditation or a connection with the sacred.